D6948 reaches a major milestone! Power unit started. After 5 long years, a lot of blood, sweat and tears and not a little cash, D6948 sprang back into life at 10:20 this morning following its partial engine rebuild and general refurbishment. The loco was run up for approximately an hour and 20 minutes testing air systems, brakes and control air/engine rev response and a snagging list produced....Still plenty to do with much testing of electrical systems and hopefully resolution of what will turn out to be minor faults on both air leaks and electrics. But the main thing was that the power unit ran very well indeed and very smoothly - and beyond our expectations. 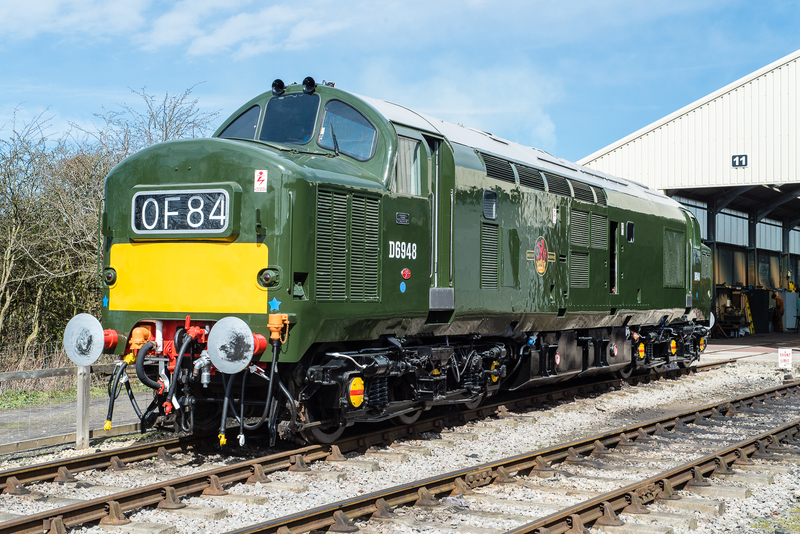 D6948 will return to service on the 29th-31st July when it will be one of the highlight's of the GWR's summer Diesel Gala, advance tickets for which will go on sale shortly. Posted in *LATEST NEWS*, 37248, News, Project D6948 blog	| Comments Off on D6948 reaches a major milestone! Power unit started.